Very smooth flavor, but with a nice throat hit. Sweet but not too sweet, could be an all day choice, the blueberry and vanilla compliment each other very well. Will definitely be a repeat buyer on this one! This is my favorite. Nice and smooth, very sweet. 3rd bottle, however, this liquid is very thick and burns all my coils in Mi-pod, Mico, and Nord after 1st fill. Boooo! I am really liking this flavor. Great blueberry taste with a bit of vanilla. Solid throat hit too, will definitely order more. Delicious! Soft smooth blueberries with an vanilla exhale. Great taste, no headache or bold artificial flavoring. Didn’t love the taste accidentally ordered two and threw them both away. Wasn’t much blueberry flavor at all and it tasted burnt. Bad taste buds enjoy taste blueberry. Slight tobacco taste. Overall great. 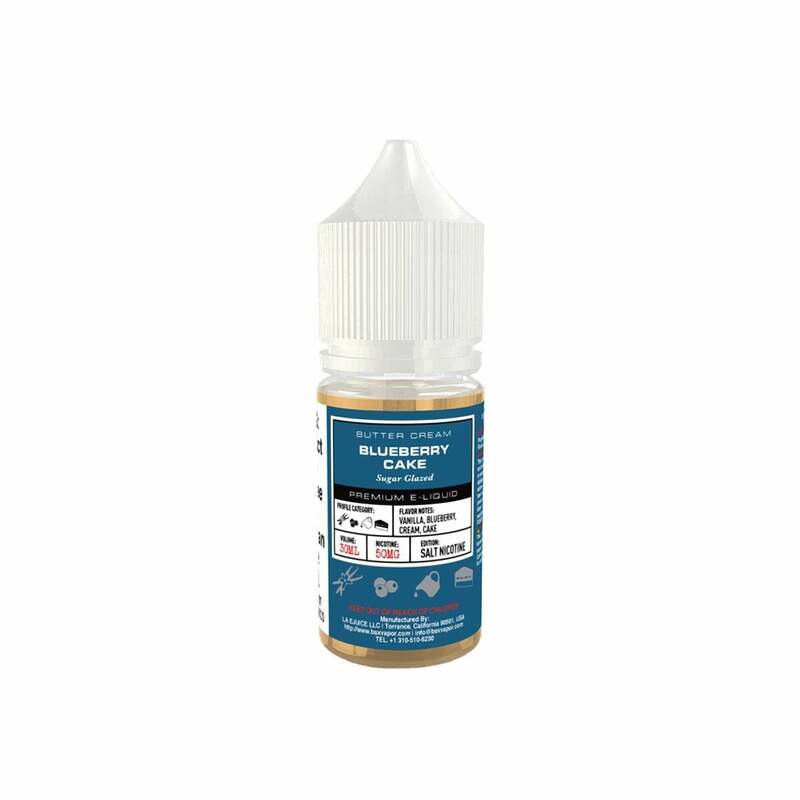 Awesome flavor, you can taste the bold blueberry flavor with an aftertaste of vanilla. Absolutely delicious! This is by far the best juice i found ive been off and on from vaping and completely quit smoking cigarettes and im already buying another bottle one for home and one for work. love this! Another hit from glas vapor basix, this is just as awesome as the banana cream pie. Can't wait to try the rest of their flavors. Wish it had a little stronger flavor like the banana but there is enough, just a personal preference. Well done! Amazing blueberry flavored dessert flavor.